Known as the masterpiece of trade shows, the Mid-Atlantic Nursery Trade Show (MANTS) does not disappoint. The expansive show of everything plant-related lasts for three days in early January at the Baltimore Convention Center. 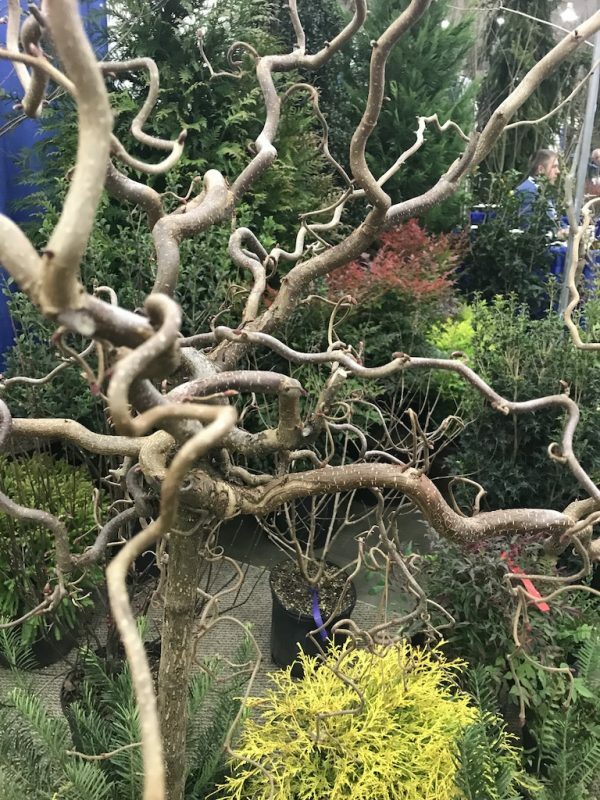 The 2019 show wrapped up this past Friday and hundreds of vendors from nurseries to landscape designers to hardscape suppliers attended to sell their wares, their services and, of course, their trees. 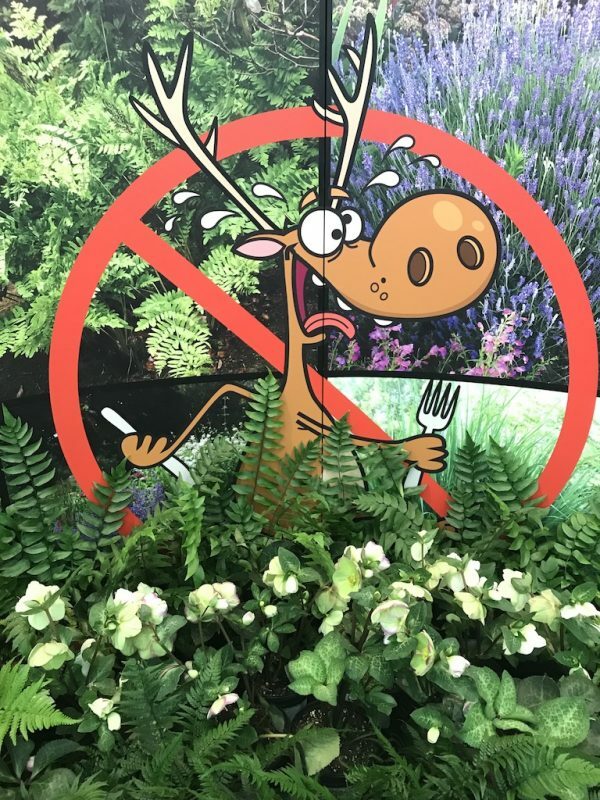 Each booth is set up to highlight a certain nursery’s specialties – decking their trees with lights, displaying rare plant species and even dressing up staff members to impersonate deer. If you are looking for a particular evergreen or a rare species of witch hazel, you are almost guaranteed to find a supplier at MANTS. As a first-timer to MANTS, I learned to pack light and bring a backpack for the number of catalogues and other free swag you can collect at each vendor. And if you forgot to eat lunch, you can fill up on free candy and mints at most booths (there is also food for purchase inside). The number of vendors and length of the hall is overwhelming at first, but there are guide books to list each vendor’s location. Wandering blindly through the aisles also turns up interesting finds, like biodegradable plant pots made from cow manure, “tree diapers” to soak up rain water around the base of a tree, and printers specializing in plant tags. 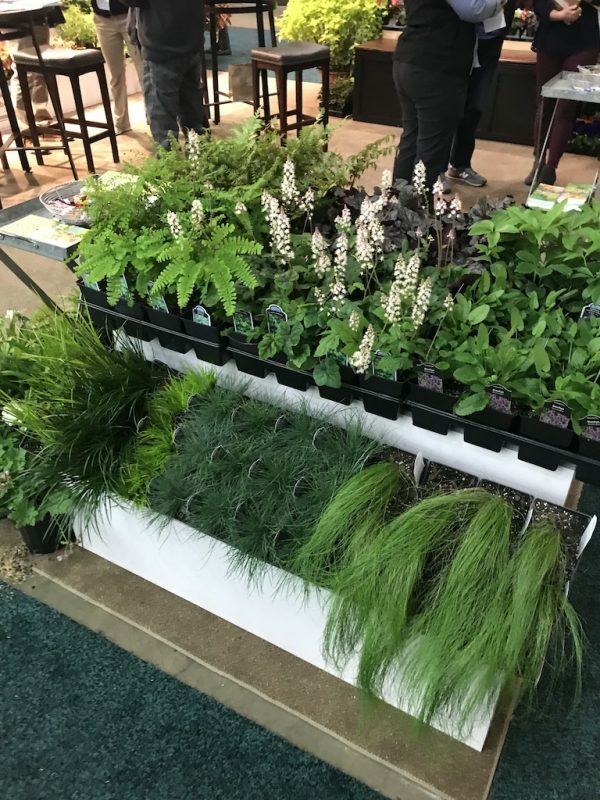 A sampling of the plants, grasses and trees available at MANTS 2019, which wrapped up in Baltimore last week.